Use this instruction sheet when replacing the tiller handle shift cable on Evinrude® E-TEC® 40 – 115 HP model outboards. Remove cable retainer. 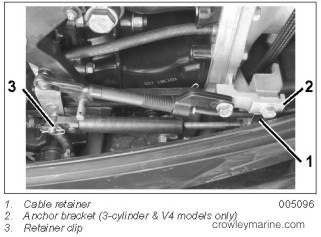 On 3-cylinder or V4 models, remove anchor bracket. Remove retainer clip from shift cable. 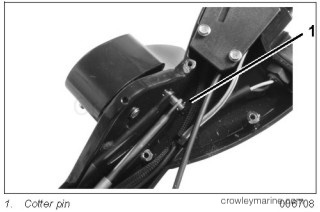 IMPORTANT: Throttle and shift cable routing has changed for later model tiller arms. 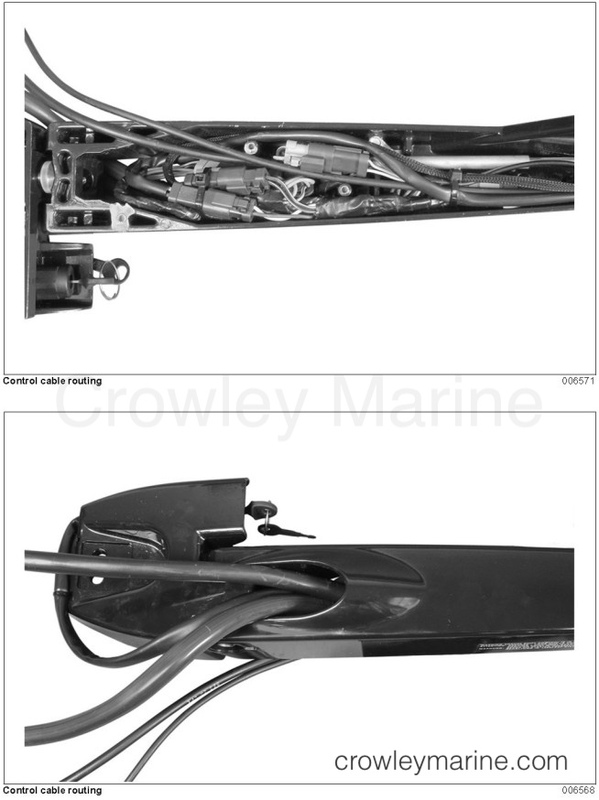 If your tiller arm does NOT does not have the bottom cover with cut-out on starboard side, the throttle and shift cables will be re-routed during assembly. 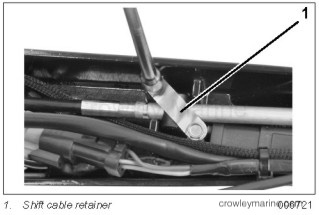 In this case, use remover tool, P/N 342226, to unsnap the throttle cable clip from the throttle lever. Remove throttle cable from lower motor cover and grommet. 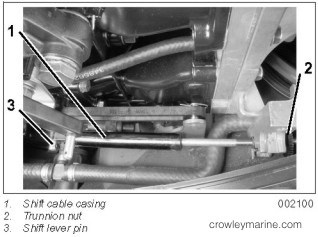 Remove shift cable retainer from shift cable trunnion. 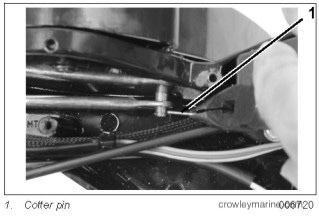 Remove cotter pin from shift handle pin and discard. Remove shift cable from tiller arm and lower motor cover and grommet. Install shift cable on shift pin with NEW cotter pin provided in kit. Install shift cable retainer on shift cable trunnion. 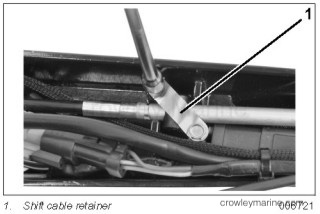 Refer to Cable Routing on p. 4 and install shift cable(s) through lower motor cover and grommet. Pull firmly on shift cable casing to remove backlash. 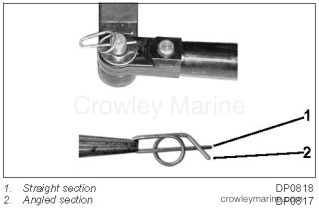 With outboard and tiller handle shift lever in NEUTRAL, place the cable trunnion into the lower anchor pocket. Adjust the trunnion nut so the casing fits onto the shift lever pin. Install shift cable on shift lever pin and install retainer clip. Use long nose pliers to insert straight section of clip into linkage pin hole. Install cable retainer. 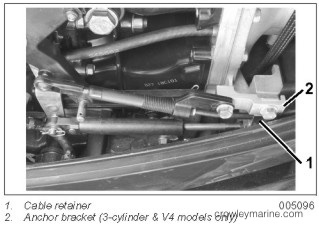 On 3-cylinder or V4 models, install anchor bracket. 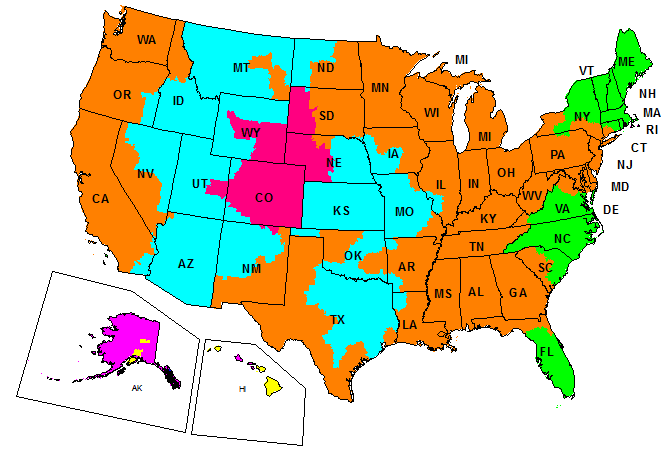 Make sure shift control provides accurate shift operation. Then, torque anchor bracket / cable retainer screw 60 to 84 in. lbs. (7 to 9.5 Nm). If previously removed, place throttle cable in position. Use Ball Socket Installer tool, P/N 342225, to snap throttle cable connector onto throttle lever. Install NEW bottom cover provided with kit, on tiller handle with seven screws.